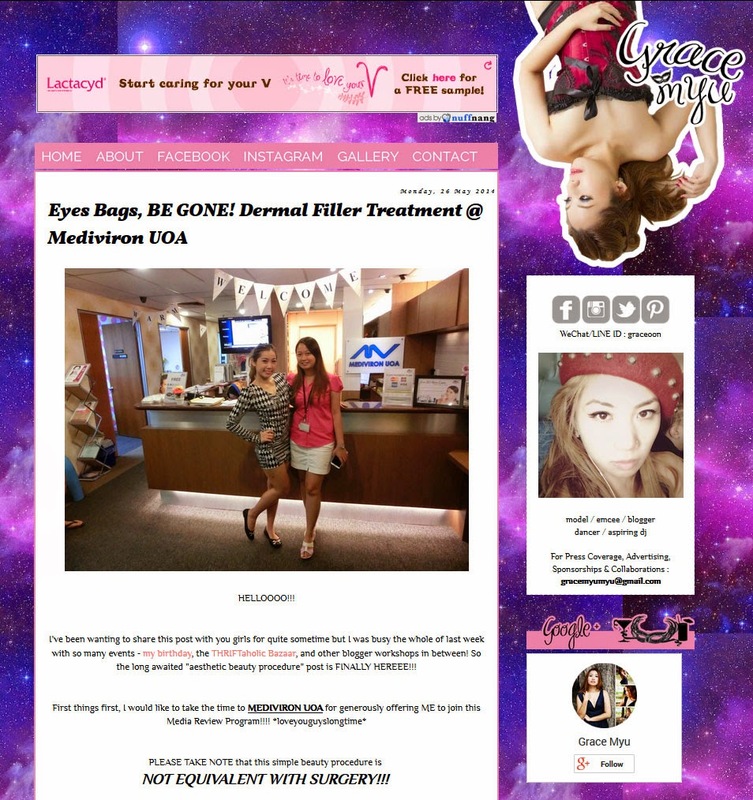 Our lovely blogger, Grace blogged on her experience with our Dermal Filler Treatment for her eye bag problem. She visited our clinic on May 2014 and from what she wrote, she found the result is good and the eye bag is less visible. Click to read her blog now!